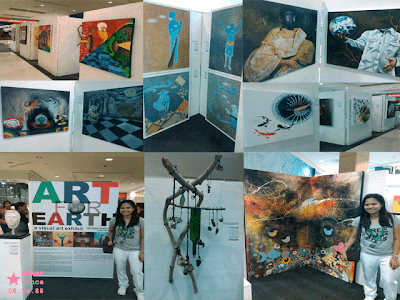 As part of the earth hour, Art for Earth showcased their varieties of artwork from different artists in the country. 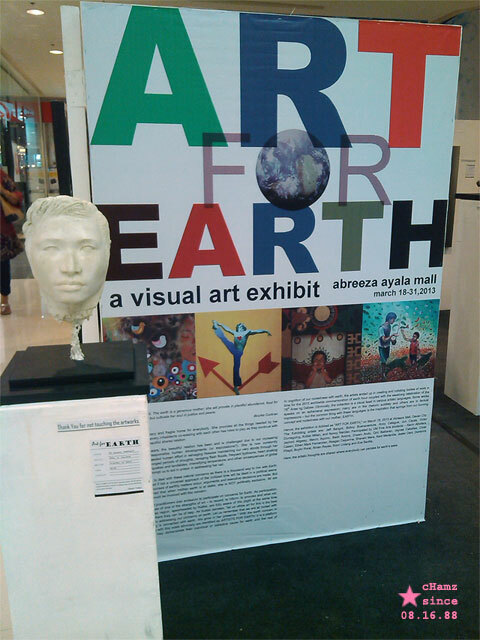 It is a visual art exhibit that can be viewed in the ground floor of Abreeza Ayala Mall of Davao City from March 18 to March 31, 2013. If you’re into art or if you have kids who loves art then don’t waste time and start exploring on how to develop that hobby because not all people have the mind of an artist. It’s either you will learn it more or you’re just going to set that a side and one day you will regret it. Art is deep it requires lots of imagination and inspiration that’s why I really salute those artist from the past like Michael Angelo who inspired lots of people like me. 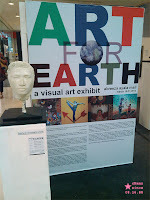 I’m not an artist but I really appreciate every artwork in the world.